Water and Sand Toys always provides hours of fun play for kids, kids love water splashing and enjoys it. This kind of toys promotes creativity and imagination in kids. Kids always love splashing water. Here we are suggesting some water and sand fun table for kid 2 - 5 year old kids. Parents always care about kid fine motor skills and their overall growth. The toys play an important role in developing kids mind and body. 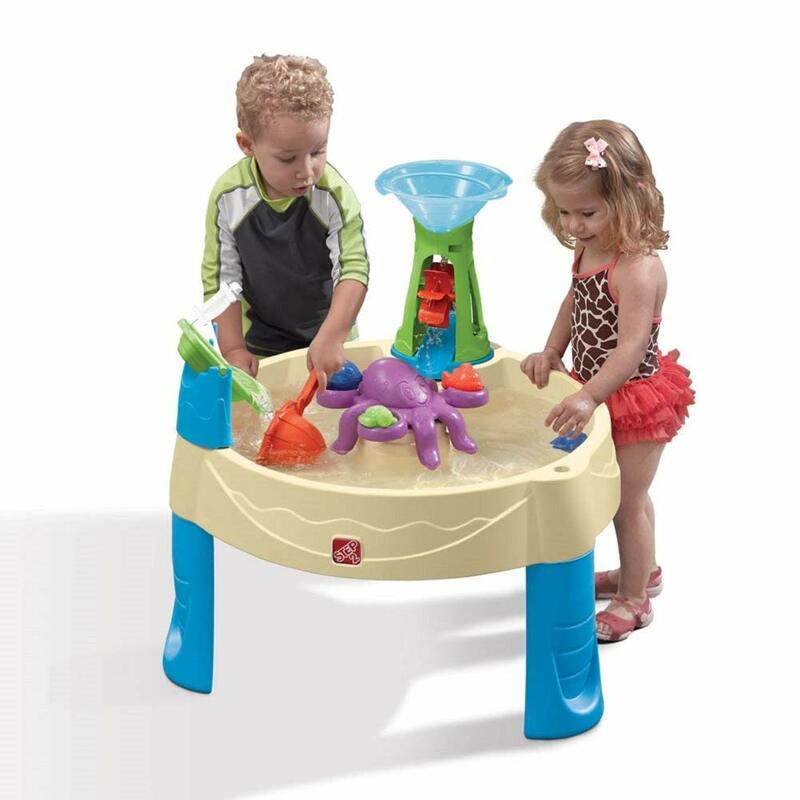 Water and Sand table toys always give a lot of fun and imagination. Outdoor toys always good for kids physical and social activities. The kids play hours of playful activity with creativity. This pirate ship made of non-toxic and child-safe material. Ship-shape provides a pretend hours of play to like a pirate of the sea. 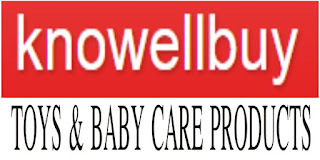 Toys include moulds and animals, which promotes different kinds of creativity and imagination. 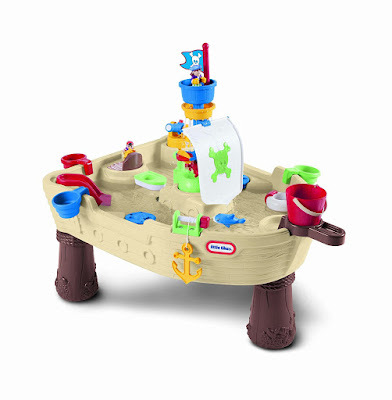 The pirate ship includes a shovel, rake, sand wheel, mini boat, shape moulds more. 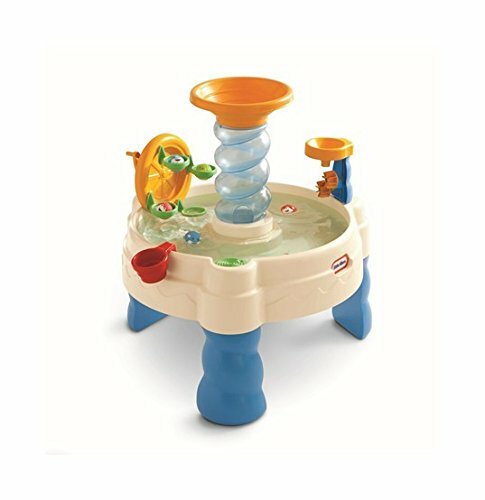 The STEP2 water table is good for kids and it comes with rotating octopus, 6 creatures and creates a whirlpool effect. The ship provides a water boat and a scoop for creating water tornado and power the spinner. Step 2 Naturally playful stand table is totally fun for kids it includes 2 shovels, 2 claws rakes, and a bucket. 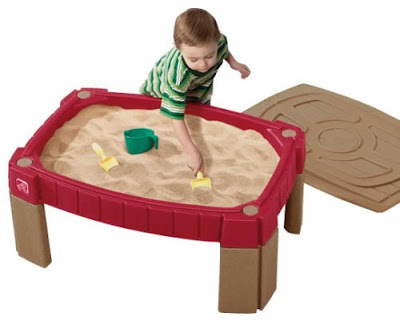 This sand table holds up to 18 kg and provides multiple hours of play and creativity, imagination for kids. 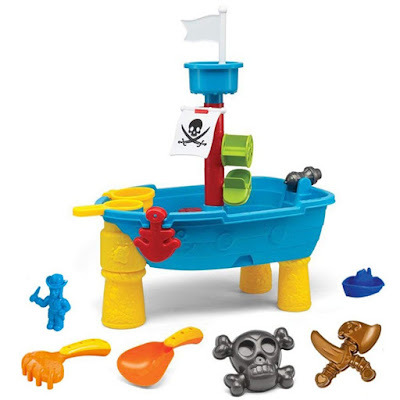 Little Tikes Fun Pirates Ships Water Table comes with pirate themed and includes spinning pump, skull & crossbones flag, squirting cannon, functioning anchor, bucket etc, The ship also includes doubling crows nest that acts as a funnel, can easily be fitted with a garden hose for fountain effect. 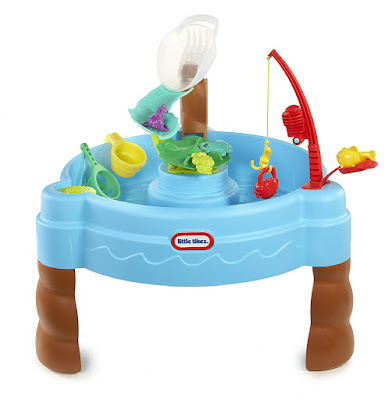 Little Tikes Fish and Splash Water table come with a sturdy plastic table and includes a water cup, turtle, frog, crab, coloured fish. The water table provides catch, collect and count fun to kids. they can imagine fishing experience on this table. Parents required an exciting toy for their kids by which they can play multiple hours without effortless. This Water Table is good for 18 months old kids. On grass ground or uneven surface, the proper balance may lack.